CH Precision C1 DAC Power Cord/Upgrade recommendations? | What's Best Audio and Video Forum. The Best High End Audio Forum on the planet! CH Precision C1 DAC Power Cord/Upgrade recommendations? Hi all. I am a recent owner of the CH Precison C1 DAC, and added in the network card recently which made me a very happy man. However, I am still looking for a good power cord to pair with it. I have been very lucky to try Goebel, Siltech Double Crown, Ruby Mountain, Crystal Cable Dreamline Plus, and High Fidelity Cables on it. My favorite cable so far has been the Siltech Double Crown, but the price point is rather scary. Are there any other cables that I could try? I have been thinking of Nordost, but the dealer over here does not have any to loan for now. My ideal price point will be around USD 6,000. Another question I have is what's next to upgrade the performance? Should I go for the power supply next, or should I go for a clock? I do not think I can afford the T1 for now, so was thinking of a cybershaft? The rest of my system includes Vitus SL102 pre, sm10 monos and speakers are Maarten Coltrane Tenor mk1. Transport is an Ayon CDT-II. Cable is dependent on system and personal taste. You may contact Cable company to try out three different cables to find out yourself. They will loan you cables for home trial. If you do not have dedicated line, you may consider setting it up first before changing power cables. Hi thanks for the reply. I do have a dedicated line, so was looking for what other members have found to have a good synergy with their system. I use Vertere HB power cord on my CH C1, it gives good resolution with a hint of warmth. Try it and see what you think. It's also reasonably priced. I found it's better than Siltech Ruby Hill. But I did not get a chance to compare it to Siltech Ruby Double Crown or Siltech Ruby Mountain. Sablon Elite, w options for Bocchino plug and IEC connector. A fantastic combination of detail and warmth, hugely natural sounding. $2-3k depending on options like the aforementioned Bocchinos. Sablon doesn't seem interested in letting everyone demo his cables before making a buying decision. His company, his rules. I for one just won't be buying blindly, though. @bazelio, The nature of my business is that I custom make high end cables to individual customer order. Some of these cables, such as the Bocchino range, use very expensive parts which are in short supply and usually backordered for several weeks. My limited demo stock is usually fully booked up and I need to prioritise allocation to existing customers and new enquiries who I feel are seriously considering a purchase. When we spoke several weeks ago, you gave the impression that your interest was more casual and, given also your interest in DIY, I felt my resources were better deployed elsewhere. As you say, a commercial decision but your post merited a fuller explanation to give other readers a better understanding. It's your business and I have absolutely no problem with you running it how you please, sir. When we spoke, I indicated that I was in the process of auditioning cables for an upgrade and was very interested in auditioning yours. If that's too casual, so be it. You seemed to indicate that if I wasn't going to buy it then I wouldn't make the cut. Unfortunately, that ceases to be an audition. Other small cable businesses such as Zenwave are able to be more accommodating. So what did you end up buying then? JayT, welcome to CH precision ownership and congratulations on your purchase. As several members have pointed out, power cords will be a matter of personal taste once one begins trying well engineered and built brands. There are some solid recommendations here and that you have tried. We have had good results with Nordost at shows. You asked what should be the next upgrade and I will give you my perspective. You did not indicate if your C1 DAC is HD. If not, this should be your next upgrade. The HD upgrade improves the performance of the C1 by implementing new upsampling and digital filters. These are used on ALL digital inputs; HD-Link, USB, ethernet, AES/EBU, etc. The upgrade is available from our dealers for $2,500 and the unit can be updated at your home in about an hour. Let me know if you need a dealer recommendation by writing me a private email. After HD, the next upgrade you should consider is the X1 power supply. The X1 will drop the noise floor even further providing more details, and improve the foundation of the presentation. If you decide to invest in a power cord now and do the X1 later, no problem. Just move the power cord to the X1 and use the stock 15amp cord on the C1. Once you connect a C1 to its external supply, all audio circuits are powered by the X1 and only the display and control circuits are driven by the internal power supply of the C1. Finally, the T1 clock also improves performance of the digital front-end especially when one is clocking multiple units such as a C1, D1 combination. The T1 is an essential component when using our C1 Mono DAC. Likes: CKKeung and Elliot G.
Thank you very much for your insight. I did not realise the HD input was important even for users like me who do not use a D1/C1 combination. I was under the wrong impression that only the hd-link was affected by the HD upgrade. Think I will go for that first then. It has been a great experience listening with the CH Precision so far. No regrets. If you like the Siltech Double Crown I have a new PC you may be interested in. It's a 14g UPOCC silver cable made with 8 teflon-insulated 20g ribbons for hot and neutral + 14g UPOCC copper litz wire for ground. The hot and neutral conductors are made by Harmonic Tech... the same company that makes Siltech and Wireworld UPOCC silver cables. 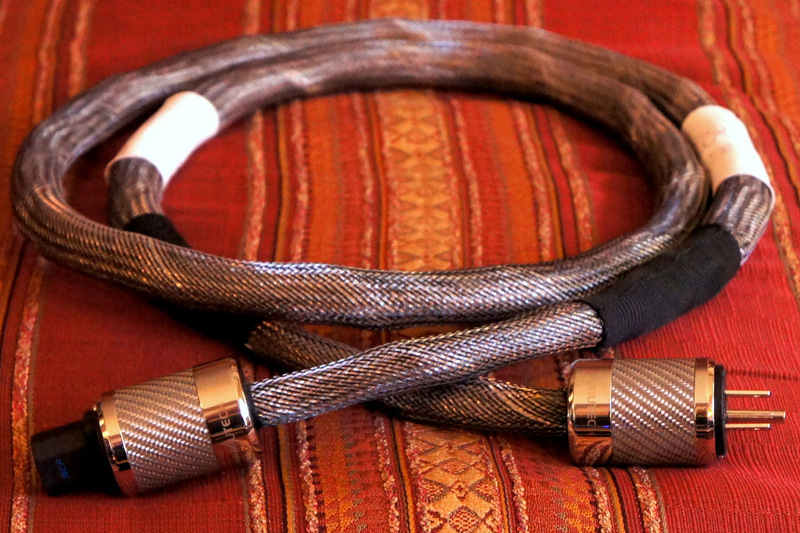 The ground is also made by Harmonic, and is a product I have custom built for my own cables. The litz type ground wire is ideal because it has very low impedance at high frequencies vs a single solid conductor. Plugs are Furutech NCF, same as used on the Triple Crown. Price is $2999.99 for 2 meters, which is quite amazing for a cable made with best conductors and plugs the world has to offer. If you want a demo, please let me know and I can get it out to you in a week or so. It's a brand new cable so I'm still doing some testing myself, and would be more than happy to get your opinion considering you've tested some very nice cables. Ralph, I have to say thank you once more for the reminder to change to the HD board. It's 2.30 am where I am, and I just installed the board. The improvement in dynamic range is amazing! I might not have to get that power cord upgrade after all. Agree with Ralph. HD upgrade, followed by X1 power supply, followed by powercord upgrade on X1. I have ended up with Shunyata Sigma power cords on my CH components, after having used Kubala Sosna Emotion cords previously. JayT, thanks for the note. I’m delighted you are enjoying the HD upgrade. Your next stop in upgrading performance is an X1 supply followed by a well designed, well built power cord on the X1. Enjoy the music ! Congrats for getting the HD card for your C1! Before your next upgrade step of X1 powersupply, may I suggest a very low-price tweak for you? A Taiko Audio Setchi D2 electrical groundbox with usb connector. Plug it into the idle usb socket at the back of C1. What you will immediately notice is the increased vividness of the sound. A very good match with the Swiss finesseness of CH Precision.